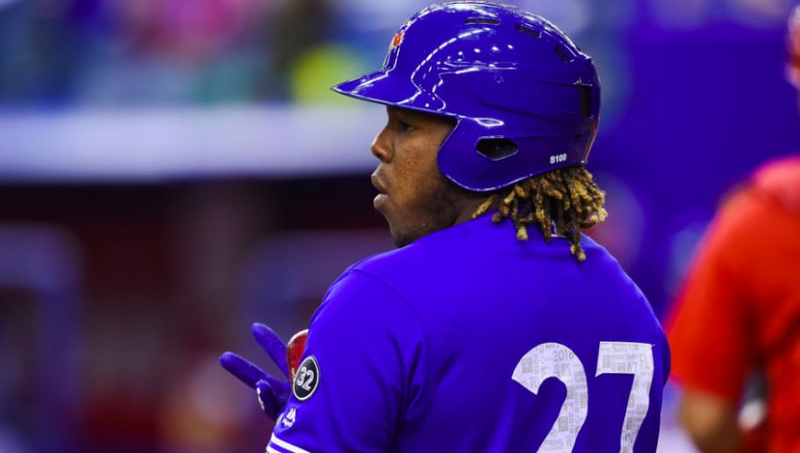 ​​Vladimir Guerrero ​Jr., son of hall of fame outfielder Vladamir Guerrero, has been a sensation throughout his entire minor league career. However while he has watched fellow top prospects Ronald Acuña Jr. and Juan Soto be called up and play at a high level, Guerrero has stayed in the minors. This season, he's spent significant time in both AA and AAA, crushing it in both. He hit .402/.449/.671 through 61 games in AA, and is currently hitting .365/.453/.603 in AAA. However for some reason, he still hasn't been called up to the ​MLB. He is even projected to be one of the best hitters in baseball right away. It is just completely absurd that he has not been called up yet. It's not like the Blue Jays don't have room for him either. Josh Donaldson is injured, and they are reportedly trying to move him once he gets healthy.​​ Who are they currently starting at third base then you ask? Russell Martin, yes, the catcher. The Blue Jays are doing ​Vlad, the fans, and themselves a disservice by keeping him in the minors. Hopefully they wise up soon enough.